The other night when out with a group of acquaintances, namely my wife and her friends, we were all having a really great time until… The “until” is when some asks me what I do. I hate that question. “I’m an industrial organizational psychologist,” I say. “You’re a psychologist”, they respond astoundingly. “Yes”, is all I can muster. It’s like a bomb went off; everybody stops. Everybody’s body language changes to something more formal and rigid. The conversations become more guarded and subdued. And people ask questions instead of letting me hide behind my normal modus operandi of questioning them. It’s all normal. It’s always the same. And, I loathe it when it happens. After a while everyone calms down a bit after they realize that I’m not a “head shrink” and that I work on organizational behavior improvement. You know, boring things like selection processes, expectation setting and deployment, measurement, performance management, change management and all those other things that are just a lot less threatening than assuming that I’m watching them for signs of neurosis or a psychotic dysfunction of some type. Inevitably, they paint me as an organizational doctor, one who diagnoses, prescribes, and manages a treatment plan. And often I let that definition stand to avoid the long discourse on process consultation, experiential learning and discover, and change management. And toward the end of transformation back to a more normal conversation comes the ever present assumption, “I’ll bet what you do is really is interesting. Like, I’ll bet that every organization is unique in what the problem is”, they will say. I just shook my head and acknowledged her story. It seems this is the norm. Lack of clear expectations and its negative impact resonates with a lot of people and most people have a story or two to share about it. It is first of the usual suspects of poor organizational performance. After her story I jumped right in with a story of my own about my son. One Saturday morning I asked my young teenage son to mow the lawn while I went to the grocery store. He was barely up (even though it was 10 am) and not motivated at all it appeared. When I asked him a second time, he grunted, “yea, I’ll get to it”. With that, off I went to buy groceries. As I came around the corner on my way back home, I hoped I’d see the lawn mowed, and of course it wasn’t. I began to feel that rage that comes when your kid doesn’t do what they committed to do. I ran into the house and slammed the first batch of groceries down on the counter and commented that it sure would have been nice if he had mowed the lawn for me. He just laid on the couch watching Scooby Doo as I bolted out for the next batch of groceries. Again, I came back into the house and slammed the groceries down and continued to grumble and complain about his laziness and my frustration with him. “It’s OK Dad”, he said as wandered back to the couch to finish up watching the Scooby mystery. Lack of resources can and often is a real cause of dysfunction especially if you assume the resources are on hand for people to live up to what is expected. Lack of clear expectations and resources are two of the usual suspects for poor organization performance. The third usual suspect is lack of competency. If somebody doesn’t know how to do the job, the job just will not be done right. If your training program for new employees is anything like the new job programs I’ve been through, many don’t come out of those programs trained – they come out the other side of those things battered and bruised. Well I sat there for a half an hour and then started following him around. He didn’t like that and he told me so. And I told him that I was not going to fail on this job because of him and that I was going learn this thing with or without his help. And so it went for the next 30 days as I learned the job pretty much on my own. It was the typical way of training there. Management would assign someone to train you. The trainer would say OK for the extra money but wouldn’t train you primarily because they didn’t know how to train anybody on anything. So you had to learn on your own. Training was really observation, trial, error, and pain. You watch. You try. You make a mistake. You get yelled. Watch, try, error, and feel the pain – the traditional American way of training new people. And here’s the kicker, this training is usually provided by a coworker who was trained exactly like he or she is training you – watch, try, error, and pain. No training curriculum, no training checklist, no training materials, no nothing except extra money per hour for the trainer. Finally, we were getting to the last of the usual suspects. At this point one of my wife’s friends kicked in her story from when she was a quality auditor for a corporation making cheese. She explained to us that within a cheese factory, it is important to wear personal protection equipment such as eye glasses, gloves, long sleeves, ear protection, etc. to protect yourself against personal injury even if the probability of an injurious event is low. And in a food manufacturing plant, it is also important to ensure policies that keep the food safe are followed and disciplined to consistently. She explained that when she finally got to the plant manager’s office she told him about how she came across several coffee cans that people used for chewing tobacco. “He looked up from his desk and shook his head in a frustrated fashion,“ she said. I looked at him and maybe had a look of surprise on my face. He continued, “I mean, what can I do when the supervisors are doing it too?” At that point I must have looked completely befuddled and sat down in a chair across from him. It was an interesting night with my wife and her friends. And it was really neat how the “usual suspects” of dysfunctional organizational behavior show up for many of us in our own unique situations. Whether they are with individuals we have in our lives, in the offices or factories we are part of, or in whatever kind of corporate entity we may work for, the usual suspects show up. Yes organizations are unique and yet they are similar in so many ways. 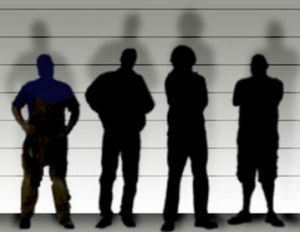 I don’t have the data on me at the moment, but I can say this; after over two decades in this business I can tell you organizational dysfunction almost always, about eighty five percent of the time, comes down to “the usual suspects”. When you find yourself looking for someone to assist you identify and eliminate the “usual suspects” call Misty River Consulting.